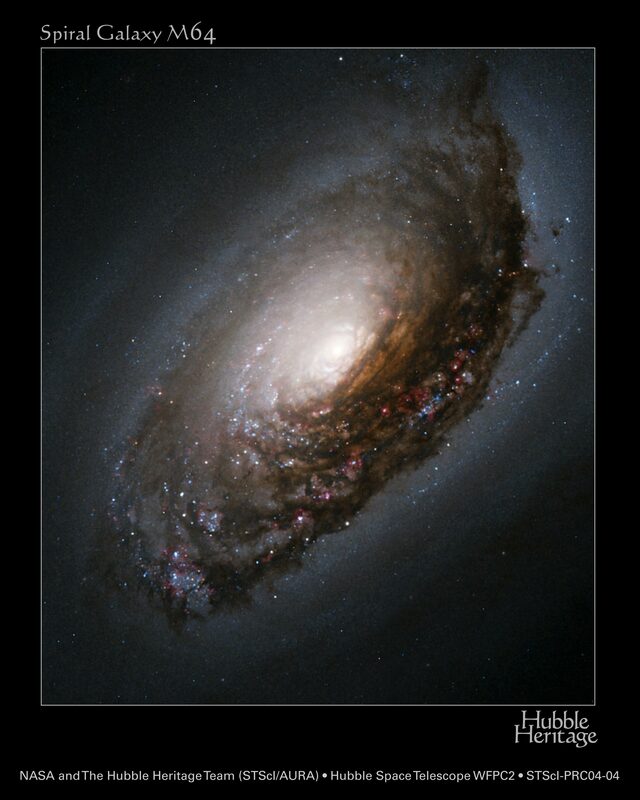 Explanation: The Sleeping Beauty galaxy may appear peaceful at first sight but it is actually tossing and turning. In an unexpected twist, recent observations have shown that the gas in the outer regions of this photogenic spiral is rotating in the opposite direction from all of the stars! Collisions between gas in the inner and outer regions are creating many hot blue stars and pink emission nebula. The above image was taken by the Hubble Space Telescope in 2001 and released last week. 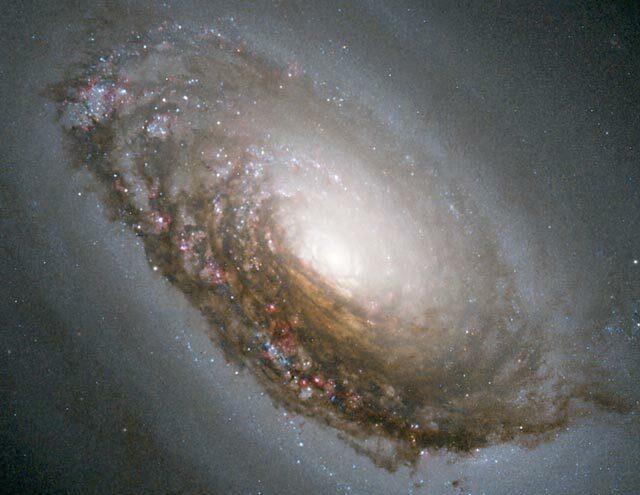 The fascinating internal motions of M64, also cataloged as NGC 4826, are thought to be the result of a collision between a small galaxy and a large galaxy where the resultant mix has not yet settled down.